“YNX Goes Back to School” (Give It 2 Get It #16) – Yannix(Thailand)Co.,Ltd. Ban Ko Wang School is a small school with a total of 32 students, (10 kindergarten students and 22 elementary students). Due to budgetary shortages, Ban Ko Wang School has only one teacher, and without the necessary resources to hire more teachers the students are severely disadvantaged. Furthermore, the overall lack of staff/resources has also led to the school falling into disrepair. In short, Ban Ko Wang School is in extremely poor condition, and is dire need of help. On Saturday, 24 March, Yannix staff visited Ban Ko Wang School to lend a helping hand as part of Yannix’ Give It 2 Get It Program (#ynxg2g). Upon their arrival at the school, twenty-one Yannix volunteers were greeted by an excited group of thirty-two students, and their teacher, Ms. Paradee Toonyodpan, who also serves as the school’s Director/Administrator. The first order of business was a Charity Lunch for the children. After lunch, the volunteers helped to build bookshelves in the library, re-paint desks and chairs, and renovate the playground. Volunteers also changed the football (soccer) goal net and played football and other fun games with the children. The students were each rewarded with a toy. At the end of a fun day of work and play, Ms. Paradee Toonyodpan accepted a charitable donation from Yannix to help fund the hiring of more teachers. The children and volunteers alike all had a wonderful time and the YNX Volunteers were invited to visit again very soon. Thank you to Ms. Paradee Toonyodpan and the students for being such wonderful hosts. 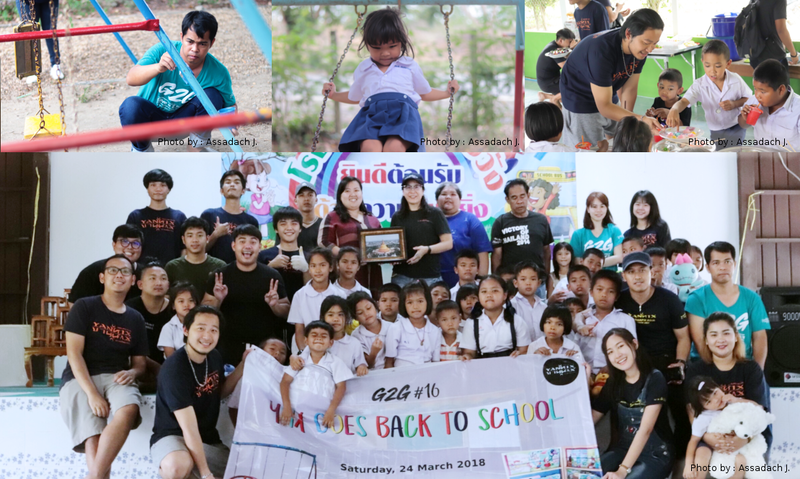 And a very special Thank You to Mr. Pichan Nantakonokchai, whose company, Kanokchai Lohakit Co., Ltd., generously donated the materials for the bookshelves in the library, and the playground restoration. Please know how much your kindness is appreciated.